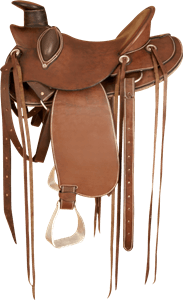 A selection of western saddles for Roping, Reining and leisure. 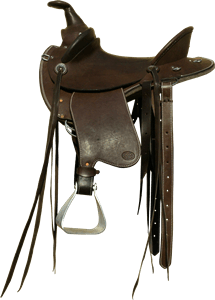 All Western saddles come complete with girth, swinging fenders (available in different lengths) and aluminum stirrups (plain or covered). All saddle trees are steel reinforced polyurethane. Standard colours are: black, brown, tan and burgundy. All saddles come fully dressed with girth. Purpose: Pleasure riding and various western activities. 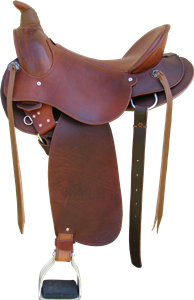 Description: A western style saddle based on the bars of our popular Kalahari trail saddle. It is a deep, wide saddle with a 4” (10cm) spine gullet and 9” (22.9cm) front gullet. Bars are short and straight with open shoulder clearance. High swell allows for horses with both high and low withers. 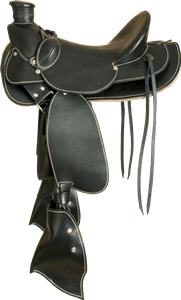 Seat is deep and secure with a 12” wide cantle with a deep dish. The seat is suitable for hours of comfortable riding, placing the rider in a balanced position. Also suitable for light seat riding. Options: Inskirt or dropdown rigginh. Lighter trail dressing or more traditional western styling. Different fender options and optional back cinch. 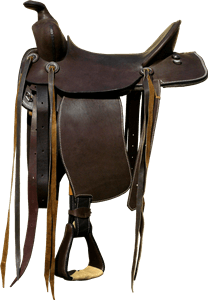 Purpose: Full fledged roping saddle, suitable for most western disciplines and pleasure riding. Description: A roper true to the traditional Cliff Wade. It is low set, sporting a slick fork, full quater horse bars that fit most horses, a wide gullet, drop down D rigging, latigos with a western wool girth and back cinch. Very comfortable for horse and rider. Not suitable for high withered horses. Purpose: Full fledged roping saddle. Description: High cantled saddle, bars suitable for wide horses. It has a wide gullet with good wither clearance, drop down D rigging, latigos with a western wool girth and back cinch. 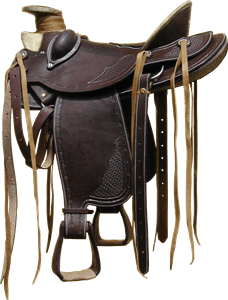 Purpose: Full fledged roping saddle, suitable for breaking in horses, comfortable trail saddle. 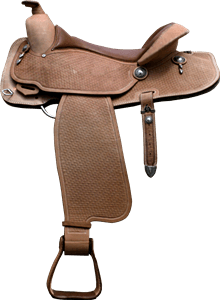 Description: A cross between a western roper and Australian stock saddle. 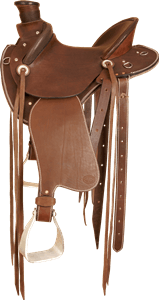 Poleys and wide cantle provide a deep, secure and comfortable seat. 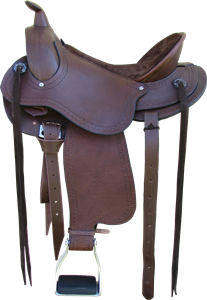 It has in-skirt rigging, latigos with a western wool girth and back cinch. Suitable for high withered but not wide withered horses. Purpose: Trail riding, cutting, barrel racing and backing horses. Not suitable for roping. 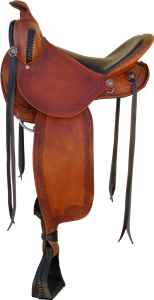 Description: Essentially the same saddle as the Ultimate-x Roper but with a thinner sloped horn giving the rider a secure hand hold. Purpose: General western riding for children up to about 10yrs. Description: Small saddle for the little ones. High cantle creates a secure seat. Suitable for use on horses and ponies. It has inskirt rigginf and latigos with a western wool girth. Purpose: Show, reigning, pleasure riding and occasional roping. Description: Based on styles popular during the late 1800s. 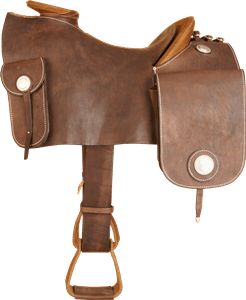 Has a slim sloped horn, high cantle, half seat, sam stag rigging, latigos with a western wool girth and wool back cinch. Purpose: Reigning, show, pleasure, not suitable for roping. Purpose: Roping and pleasure riding. Description: Small roping saddle for children and small adults. Bars suitable for Arabs and Thoroughbreds. 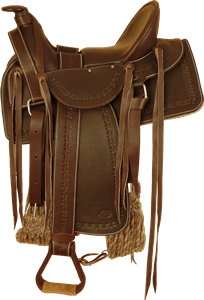 It has drop down D rigging, latigos with a western wool girth and back cinch. 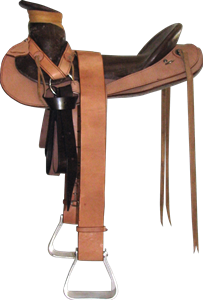 Description: A high cantled saddle with an undercut swell, square skirts with in-skirt rigging, latigos with a western wool girth and a back cinch. The bars are suitable for Arabs and narrow horses. Purpose: Trail riding and leisure. 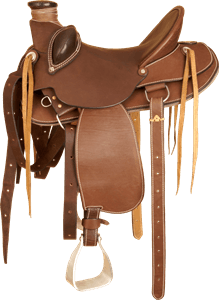 Description: A basic trail saddle with a horn and undercut swell. The high gullet makes it suitable for high withered, straight backed horses that are not wide withered. It has a deep secure seat. Purpose: General farm use, roping and leisure. 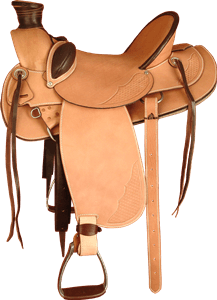 Description: A very basic saddle. It has a half seat, 3" stirrup straps with no fenders. The tree is not covered. 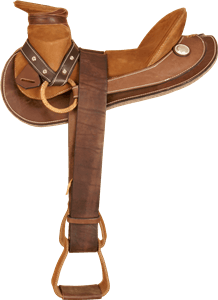 Fashioned on the Mexican Vaquero style (also known as charro). Purpose: General farm use, roping, leisure and show. Description: Essentially the same saddle as the Herdsman but the tree is covered with leather and finished with conchos in the charro tradition. Purpose: Turns a fairly plain saddle into something special. 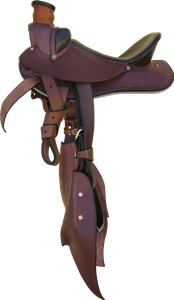 Description: Saddle cover with saddle bags. 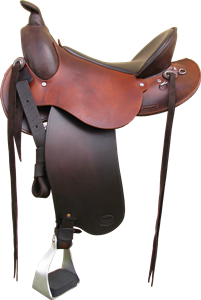 All our saddles can be customized to the client’s needs. Custom saddles on imported trees are also undertaken. 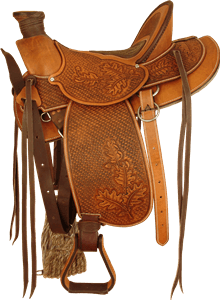 A wide variety of custom tooling is also available on all our saddles. 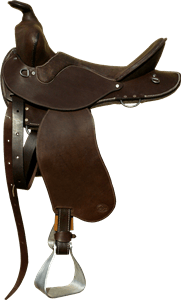 A very basic saddle well suited for farm hands. See more..